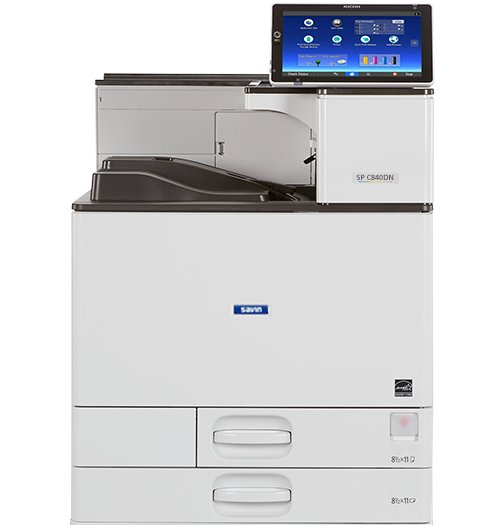 The SP C840DN delivers fast print speeds of 45 pages-per-minute and is designed to support general office and vertical market environments with advanced finishing requirements and print-only workflows. 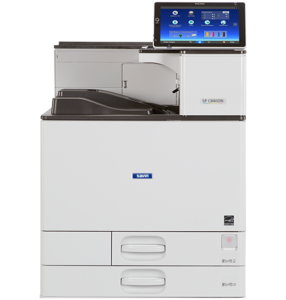 This model enables customers to implement a mix of devices featuring common operability, ideal for MFP plus Printer fleets. The SP C840DN also offers high-performance, exceptional image quality and improved media handling and adds tremendous value with exceptional quality to meet daily mission critical printing needs.